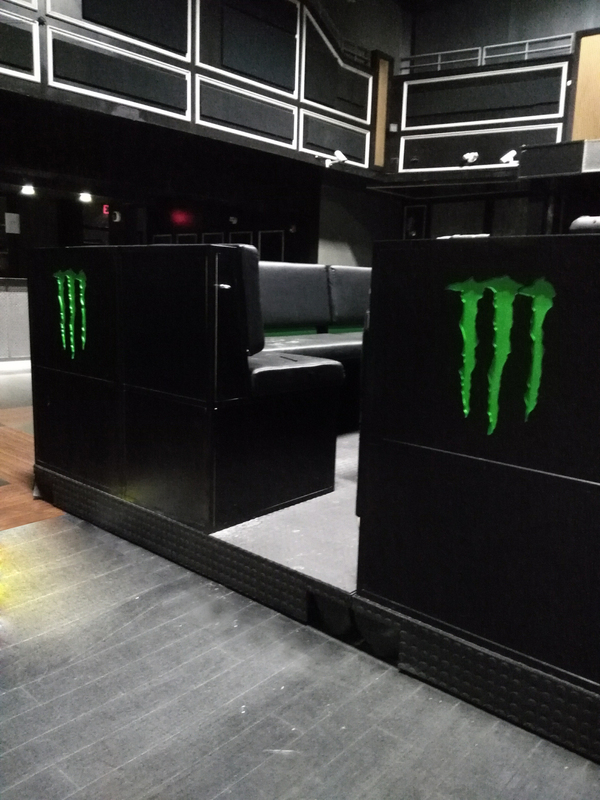 Legendary Granville strip nightclub, Venue, tasked us with the design and manufacturing of their updated VIP lounge furniture. We delivered a 32-peice set of chairs (with secret storage cubbies) and tables, on 4 rolling/locking platforms. 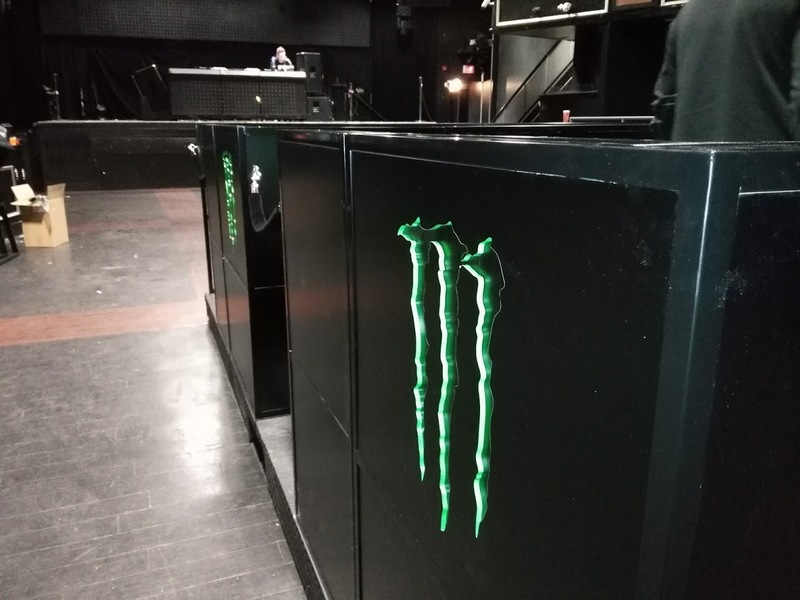 Except of course the lime green Monster Energy branding. We used satin powder coated square tube steel to construct the frames of all the furniture, and panelled with durable black melamine. The platforms each have removable fence segments so that they can be reconfigured for any event.